SSL stands for Secure Socket Layer and it is typically used to secure the information send from your customers to your AbanteCart based online store. This is typically used when processing Credit Cards or if you just want to provide your customers with additional security for their comfort. If you have already purchased SSL certificate our technical team will gladly install it for you, however you should keep in mind that our AbanteCart E-Commerce package comes with a Free Private SSL certificate which you can fully utilize for your AbanteCart Online Store. Assuming that you have already installed SSL certificate for your domain it is time to activate it on your Store. This can be done easily right from the settings of the application. 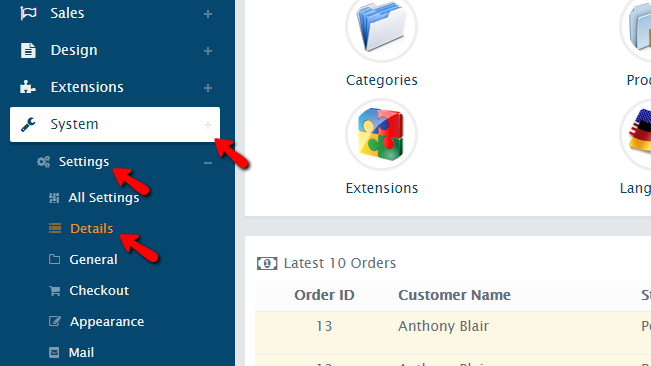 For this purpose you will need to login into the admin area of your AbanteCart and from there to navigate to System>Settings>Details. There you will see a list of options which are the most basic options your Online Store critically need. The third option from the list is called Use SS” and you need to simply switch it On. Once this is done you should simply scroll to the bottom of the page and click on the Save button. Congratulations! 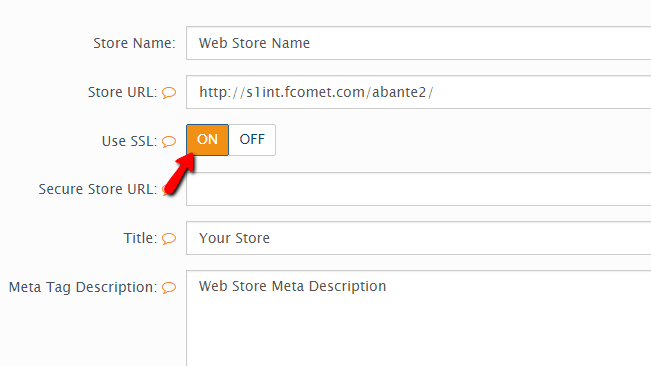 You now know how to activate the SSL certificate for your AbanteCart based Online Store!